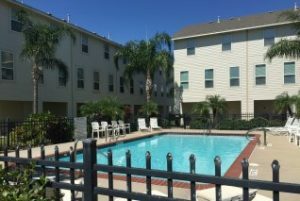 Havre Lafitte Townhomes are located off 75th Street near Lake Madeline in west Galveston. All units have ground-level, exterior entry doors and patios. Some units have upper levels balconies. 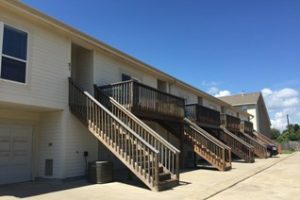 Parking at Havre Lafitte is in private garages. 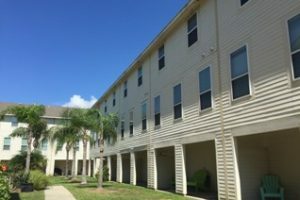 Havre Lafitte is a couple of blocks from the Seawall and Babe’s Beach and is convenient to other west end attractions.